Glitz and glamour #instaglam - in the palm of your hand! 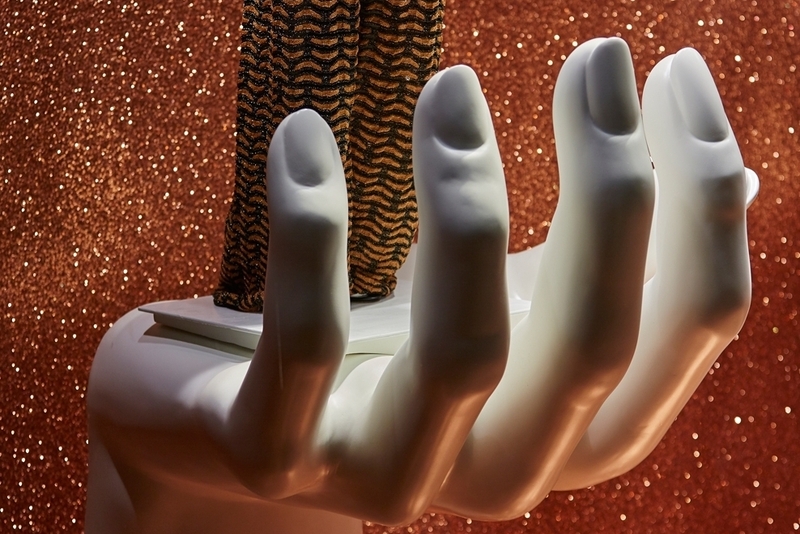 Propability in collaboration with Fenwick Bond Street fashion store produced, manufactured, delivered and installed giant ‘hand’ sculpts to windows - shaped in a way that they would take a mannequin standing in the palm. Sculpted in polystyrene on the Propability 3D robotic arm, each hand was hard coated in polyurethane, to work in the window, as well as be durable enough for later use in-store on the shop floor. Sprayed in an ‘off white’ colour to look like mannequin hands - a steel base and steel structure were fitted inside to take the additional weight of the mannequins which were positioned in the palm of each hand. With the #instaglam on the windows the overall effect is eye-catching and courageous – fashion literally placed ‘in the palm of your hands’ in giant proportions at Fenwick Bond Street.